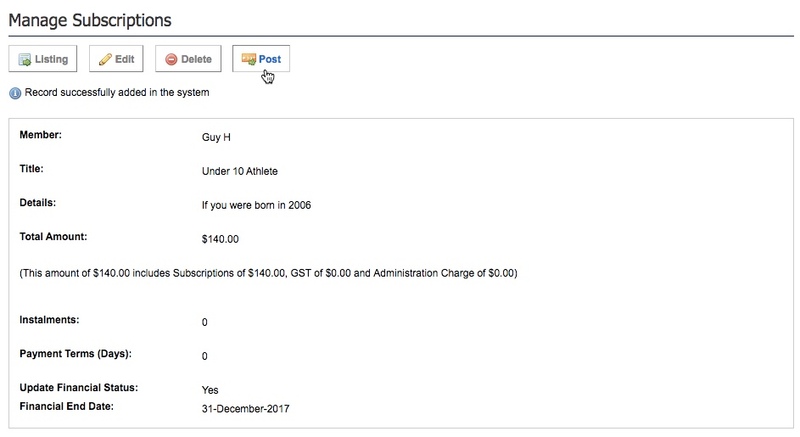 To create an invoice for a Member, you need to generate a Subscription for that Member. In generating an unpaid transaction for any member, this enables that member to log into your Member Portal with their username and password and renew their membership via the Pay Subscriptions menu. 2. Select which members you would like to generate a subscription for from the expanded left menu, depending on your selection select appropriate filters and click Next. All Members - Allows you to generate subscriptions for all members in the database. Member Types -Allows you to generate an unpaid transaction for members by Member Type. Member Group - Allows you to generate an unpaid transaction for members by Member Group. Member Query - Allows you to generate an unpaid transaction for members by Member Query. ii. 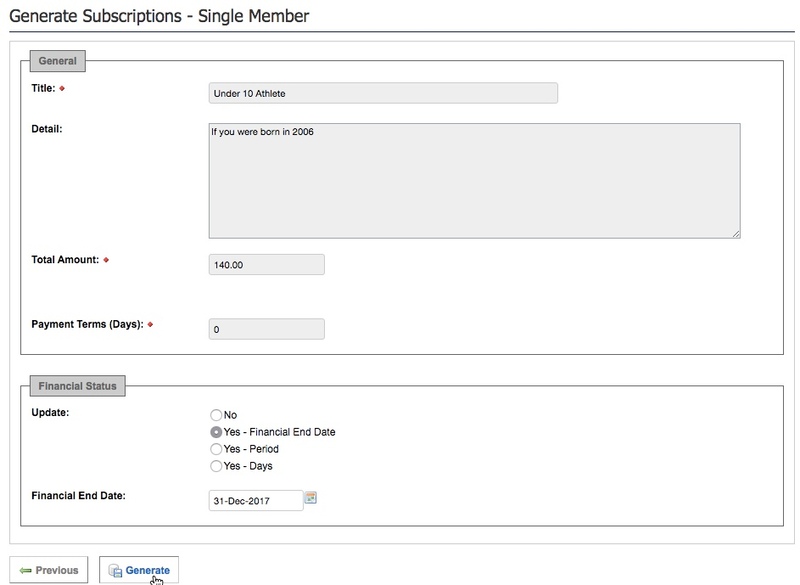 Member's Default Subscription - This generates an Unpaid Transaction relative to the Default Subscription Type that the member holds. iii. By Subscription Type - Select any of your Subscription Types available. 4. 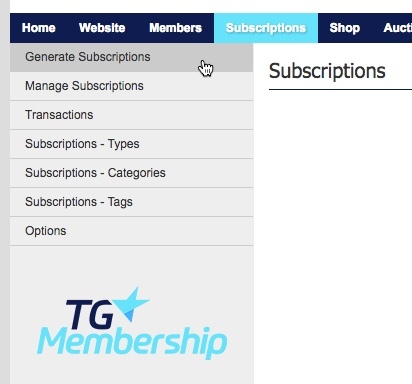 If you are generating subscriptions using a Blank or Specific Subscription, preview and amend any details for the Subscription for the member, then click Generate. 5. You will now be on the Manage Subscriptions page. Review the details of the transaction, then click Post. 6. The transaction will now sit in Transactions, Unpaid allowing the member to log in and pay it off. Once a Transaction is in Unpaid you can send a reminder to the member to pay their transaction by pressing on the Remind button next to the applicable transaction. Additional Information: You are also able to filter down your selection based on Member Status and Financial Status. For example, if you only want to generate Unpaid Transactions for Active members that are Unfinancial, select the Active and Unfinancial radio buttons.